This Minnesota band worked under the radar and ahead of their time. 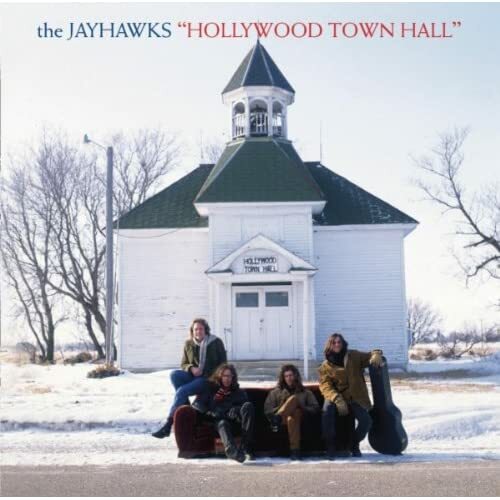 During the '90s as country music was getting a pop polish and alternative rock was becoming mainstream, the Jayhawks were one of the few bands that trafficked in the intersection of that musical Venn diagram, blazing a trail since 1985 with a hybrid sound identified as alt-country. After being in the band for 10 years, co-founder Mark Olson left in 1995 and his partner Gary Louris continued on. They reunited as a duo in 2005 and toured together. In 2008, the 1995 Jayhawks lineup performed at a Spain's Azkena Rock Festival. In 2009, Olson and Louris released the acoustic album Ready for the Flood. Later that year, they announced the Jayhawks were reforming, which sparked a resurgence of interest. Shortly thereafter, Sony Legacy/American Recordings released Music from the North Country: The Jayhawks Anthology, and the following year saw Lost Highway Records reissue the band's formerly out-of-print debut. Sony continues to draw attention to the band's past work with collector's editions of past albums 1993's Hollywood Town Hall and 1995's Tomorrow the Green Grass released this past January. On Hollywood Town Hall, their third album though first on a major label, the band was a quartet. Olson on acoustic guitar and harmonica and Louris on electric guitar with Marc Perlman on bass and Ken Callahan on drums, although the majority of the drums heard are played by session musician Charlie Drayton. Benmont Tench, keyboardist for Tom Petty and the Heartbreakers, came in after the tracks were laid down to work his magic and his impact is noticeable on the first note of the opening track "Waiting For The Sun". Blue Earth's "Martin's Song" and "Two Angels" were re-recorded on for this album with Callahan is on drums and Nicky Hopkins on piano. On "Crowded In The Wings," the dreamy quality of their melodious vocal harmonies shines through. "Take Me With You (When You Go)" finds Louris delivering a couple of great guitar solos, wonderfully evocative of the song's longing. I enjoyed the counterpoint vocals sung during the chorus of "Sister Cry," which augments the confusion of the character the song is sung to. The new expanded edition comes with five bonus tracks. "Leave No Gold," "Keith and Quentin," and "Up Above My Head" were previously unreleased in the U.S. The first was a bonus track on the European CD and the other two appeared on the CD single for the Europe/Australia release of "Waiting For The Sun" and really turn up the country twang quotient. "Warm River" and "Mother Trust You To Walk To The Store" were previously unreleased. Demonstrating the quality of their talents, all the bonus tracks are worthy of being included on the album. Tomorrow The Green Grass has been given the Legacy Edition treatment. Not only are there five bonus songs, three previously unreleased, but there is also a second disc comprised of what is known as "The Mystery Demos," tracks recorded by Olson and Louris in 1992. TTGG found the band's line-up and their sound slightly altered. Piano player Karen Grotberg became a member and her contributions on background vocals wonderfully augment what were already impressive harmonies. Callahan was out, and drums were performed by session man Dan Heffington. Tench returns to play organ. Louris reveals in the liner notes, the band was "getting more experimental, opening things up and with certain songs bringing a Beatle-ish vibe to what we were doing with what people referred to as 'roots music.'" The album opens with a pair of acoustic guitars strumming on "Blue," a grand song where melancholy never sounded more glorious as the narrator finds himself growing more and more alone. The string arrangement underneath is fantastic. After a couple of up-tempo numbers, they deliver the tender love ballad "Two Hearts" with album producer George Drakoulias playing the baritone guitar solo. There's nothing alternative in the country songs "Over My Shoulder" with violin by Tammy Rodgers and "See Him On The Street." Sandwiched between them is "Bad Time," a Grand Funk Railroad cover. The influence of another '60s band, The Byrds, is heard throughout "Pray For Me" as the guitar mimics Roger McGuinn's distinctive sound. The title track, a delightful sing-songy number, didn't make the album, but was released as a b-side on the European CD single for "Blue" and appeared in National Lampoon's Senior Vacation. Billy Walker's "The Last Cigarette" has a great honky tonk sound and features Grotberg on lead vocals. It was a b-side on the European CD single for "Bad Time." The previously unreleased tracks are "You And I (Ba-Ba-Ba)," which Louris calls their tribute to The Beach Boys' Pet Sounds, clearly evident the way the Ba-Ba-Ba's are sung; "Sweet Hobo Self," and "Sleep While You Can". The latter sneaks in a hidden track after about 20 seconds, a demo of "Blue" to bookend the disc. In 1992, Olson and Louris recorded a series of demos in Minnesota, where they were joined by violin/mandolin player Mike "Razz" Russell, and Los Angeles. A decade later those tracks made their way into the hands of fans as bootlegs and were dubbed "The Mystery Demos" before their origin was identified. Of those 44 songs, 22 have been recorded though only by The Jayhawks. The 18 songs offered show the talent and artistry at the foundation of every song. 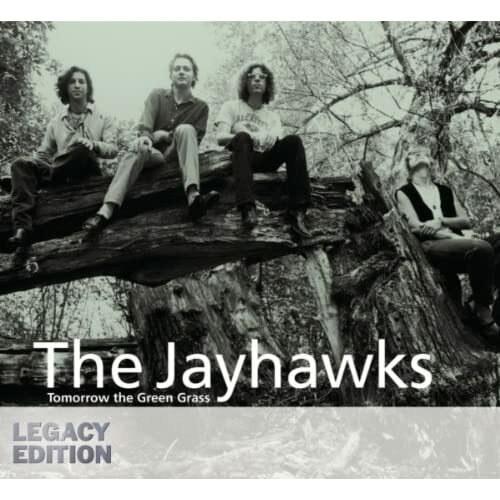 If these Jayhawks albums aren't in your collection, remedy that situation as soon as you can, and take advantage of these collector's editions, which offer quality extras well worth hearing and owning.